← Did Pope Francis really write that letter? As I often write, we are our rites. 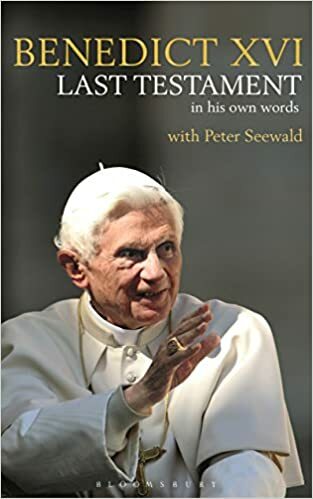 In the new interview book with Peter Seewald, Benedict XVI was asked how the son of a Bavarian policeman became a priest. I have a measure of sympathy with Benedict’s answer. I, too, am the son of a cop and I, too, was first moved by Catholic liturgical worship. It was in order to enter more and more into the liturgy. To recognize that that the liturgy was truly the central point and to try to comprehend it, together with the whole historical development undergirding it. . . .Because of this, then, I became generally interested in religious questions. It was the world in which I felt myself at ease. And in an ugly church? Now, as it appears after its decoration in the 1980’s. There was never an ironing-board altar in there. No, wait…. that’s the High School choir! Here is the Gloria from Haydn’s Paukenmesse, also called the “Mass in Time of War”. This is a recording from St. Agnes Church, by the Twin Cities Catholic Chorale. I am in the choir in this recording. This is the sort of thing you hear on 30 Sundays of the Year. Would I have entered into communion in the Catholic Church had my first experience of Catholicism been in some dreadful municipal airport with My Little Pony music and dopey preaching by Father (now Bishop) Fatty McButterpants that wouldn’t have dented my rejected Lutheran catechism? I can’t say for sure, but God brought me to St. Agnes and not to the “Engendering Togetherness Community of Welcome” and “On Eagle’s Wings.” I had been a musician for a while by the time I walked into that church, and a good one. I had Latin and Greek by then. Like I say, I don’t know for sure what a church service with “Joy Is Like The Rain” would have done for me… or “Gather Us In”, but I suspect things would have turned out differently. We are our rites. How we pray shapes what we believe. What we believe shapes how we pray. I wonder how many priestly vocations have been annihilated by crappy music, ugly churches, and bad preaching from feckless and dissident priests. At St. Agnes, during the 33 years that Msgr. Schuler was pastor, there were 30 First Masses. This entry was posted in "How To..." - Practical Notes, Benedict XVI, Hard-Identity Catholicism, Liturgy Science Theatre 3000, Mail from priests, Priests and Priesthood, Seminarians and Seminaries, The future and our choices, Turn Towards The Lord and tagged Benedict XVI, lack of vocations, Peter Sewald, priesthood, vocations. Bookmark the permalink. 24 Responses to Would the young Joseph Ratzinger – or I – have had the same reaction if…. What an extraordinary sound from the High School choir. Proof that high schoolers are capable of much more than bass, cymbals, and drums. If the expectation is there, they will build it. If the expectation is rock n’ roll, they’ll just settle for that too. It’s on pastors, adults, youth leaders, and choir directors to raise the expectation higher than just downtown Saturday night beats. Alas, my home parish was one of the first (ca. 1970) to be vandalized under the false pretext that Vatican II required it. The marble from the altar was unceremoniously trashed, apart from a few pieces my father saved. It has hardly been the last; a number of years ago I moved to another state, and one of my Catholic colleagues invited me to his parish. There he proudly promised that, in accordance with Vatican II, they were going to rip out the old altar. My response shocked him when I, probably with at least a bit heat, explained that there was no such requirement and that I considered it vandalism and a betrayal of our forebears who put it there. I know it was still there when I left town a couple years later, but I found out just now (via a rather tasteless wedding video, though I may be repeating myself) that it is gone, for ill or for worse. I remember the day, a few years ago, when I ventured timidly into my parish church, after many years lapsed. Timidly because I remembered the church as it was when I first converted, and had seen some gruesome images on the net of what VII “reordering” had done and how the Mass had been changed. I thank God for that. Because although I am sure that eventually I would have returned to the fold, the sight of a purely modernist (which means, dated inside a decade) church-in-the-round and a happy-clappy quasi-Protestant service would have driven me away for unrecoverable years. I have had the privilege of being a member of a parish with just such a beautiful church all my life. I love it. It was “renovated” in the 60s, but gently and with restraint. One of the results was the addition of an altar to be used by the priest to celebrate the Mass facing the people. With the greatest respect to you, Father, I must say it is most definitely not an “ironing board altar”. It is the altar of sacrifice, where our good Jesus has come to us since it was installed 50 years ago. It was constructed in keeping with the Romanesque architectural style of the church, which was consecrated 1n 1905 (yes, it was fully paid for and consecrated before the first Mass was celebrated – it was built to be a cathedral if Akron ever was created a diocese, which never happened.) It is made of beautiful white marble with dark green marble accents and carved with echoes of the Doric columns in the church. Every priest who has been assigned since the 1960s to St. Bernard in Akron has celebrated Mass at that altar, facing the people, as well as bishops of the Cleveland Diocese and visiting bishops. Hundreds of faithful Catholics have joyfully celebrated their Sacraments there. I believe the Holy Trinity and all the angels and saints are fully present every day, right there at that beautiful little altar in my lovely parish church. It is a worthy and holy altar. A friend once told me her child asked, with awe in his voice, if God lived there. If you are ever in our area, please do stop and visit our parish church and cast your eyes on our stunning, holy parish church. And at our high altar and Novus Ordo altar, which cannot by any stretch of the imagination be called an “ironing board altar”. As an aside, our good pastor also had a new ambo built about 5 years ago, also made of white and dark green marble. It looks like it was part of the original, 1905 church. You will receive a warm welcome as our honored guest and fellow Catholic. The parish where I hear Mass has a wheeled table and lectern (probably also has wheels) for when the ill attended New Mass is said. Both altar rails were fully restored and a permanent versus populum altar was removed. Both High and Low Masses are well attended. That is how it should be. Now the parish church is used for a diocesan Latin Mass chaplaincy (TLM there daily and weekly or monthly elsewhere in Dublin where needed), but I hope somehow the vandalism of shrines and the New Mass can become history, or as close to that as possible. As a convert as well, I remember the first image of a Catholic church was the altar in the chapel at Mission San Juan Capistrano when I was ten years old. The beauty stayed with me and opened the door in many ways for the intellectual later in life. I do not understand why so many seem to be drawn into the “modern” disdain of beauty, especially in the worship of God. After fighting the liturgy wars for thirty years, there are so many who will deliberately choose to take their children to the “contemporary Mass” (read 1970s or Disney-type music) because it’s “more relevant” that a beautiful Novus Ordo (of which there are many locally to choose from) or especially the TLM. Thirty years ago, most of us didn’t have a choice. Why do so many now continue to choose ugliness when the beautiful worship is available? I didn’t rediscover the Church through the Extraordinary Form, but I likely would not be Catholic today if it weren’t for one of the Old Rites. While I was firmly agnostic, I distinctly remember visiting a Greek Orthodox parish during an annual city wide “Open Doors” event where various buildings are open to the public. As we entered we were given a guided tour of the parish, explaining the theology along the way….how baptisms start in the narthex with an exorcism and how the Church is heaven brought down to Earth so we needed to cast off the worldly before entering for worship. In the parish, they explained the iconography and how the various layers represent higher and higher levels of sanctity in the communion of saints with Christ the King on top looking down from the dome. In that communion, we are never alone, even when we think we are in the secular world. Someone is always watching so there are no private acts. We learned about the gates, behind which the consecration took place, why it was separate, and why it was special. I learned more in the 20 minute tour of the architecture of that Orthodox parish about the Catholic Faith than I did in all my Catholic training (which granted, didn’t include confirmation, but still….). This brief exposure to the Ancient faith first brought me into Orthodoxy, then through the Eastern Catholic Church back to the Latin Rite. Architecture, ritual and liturgy are catechesis for the heart, soul, and mind and is perhaps the greatest evangelization tool we have. Without both, consecrating yourself in chastity before and after marriage do not make sense and much of the moral law seem more like arbitrary prescriptions rather than the natural requirements of sanctity and purpose of our lives. IMO, much of the anti-nomalism we see to day in the Church has its roots in this poverty of architecture, ritual and liturgy. Contrary to modern opinion, it’s not just beauty for the sake of beauty than can be dispensed with for more “practical concerns”. It’s an essential core of the faith. My husband converted in his 30s from a mainstream Protestant church. He had been to Catholic Churches with friends growing up, but assumed they were all Kumbaya style. In fact, looking back, he once attended a beautiful Catholic church in the city when he was a teenager and he even felt the call to kneel during parts of the Mass with everyone else, though the other Protestants with him did not. In high school, he started listening to chant for relaxation, not realizing he was listening to Mass parts! Now, he fully admits that if he had been introduced to the ancient traditions of the Church it is very likely he would have converted sooner. Unfortunately, there is still no extraordinary form Mass near enough to attend every week, and while we at least don’t have liturgical dancing, the NO Masses still have awful music and much lack of reverence. We try to take our family to the nearest TLM location every couple of months, but 2 hours each way is quite a trip with little ones. In the meantime, we pray for liturgical conversion in our diocese. There is hope, actually, but progress is slow. If we want to talk “New Evangelization,” and evangelizing our own, it’s quite simple. What’s old is new again. The conscious deconstruction of the beautiful is at play in all society. The New World Order will never be realized until that Bill Clinton escapade of attempting to redefine the word “is” is accepted. That is, the foisting upon the masses of not being able to “know” anything. This is accomplished by overt agitation and the removal of those outward signs that humans cling to. Not out of desperation. But out of necessity as grace builds upon nature and outward signs are there specifically because human beings are creatures with five senses. Much like psy-ops agents, in order to disorient and degrade the resistance of any particular target, seek to separate said target from culture, identity, reality. etc. Stripping prisoners of clothing, removing the ability to practice one’s religion, or, perhaps attempting to subvert a subject to develop a likening for that which is inherently directed toward the bad. Easy is promoted as a higher good without taking into account that easy, much like opting to be pushed around in a wheel chair even if one is in perfect health, leads to the atrophy of muscles. That weakness then discourages the attempt to walk. A barrage of ugliness, the embracing of easy, renders human beings to behave much like an elephant that’s been tied to a post since birth. The surroundings of the elephant pen may be ugly. But they are familiar. But even horrifically abused children, in truth, long for the comfort of their “parent”. Because that’s all they know. That’s all they believe themselves capable or deserving of. Poor lost, misguided, and robbed sheep. I dread going to the nearby OF Mass every week. Isn’t it sad that my worst hour of the week is on Sunday at a Roman Catholic Mass? At this piint, I think bitterness has so whittled me down that I’m not even positive that attending a Traditional Catholic or Byzantine Catholic parish would enliven my soul. This spiritual depression feels like a thick wet blanket that ensnares me. The Ditty to Rain (Guttis Laetitia), so light and whimsical, was popular with Catholic grade school teachers for a short time, before they, like their students before them, completely lost interest in it. It has not stood the test of time, and it seems to have dropped out of the repertory of Catholic parish choirs. We might ask what lasting influence it ever had on the faith of those who sang it, or whether it helped or hindered an appreciation for Catholic liturgy. “Joy is like the Rain”? – as the late, great John Junor (famously acerbic UK journalist) would have said: “Pass the sick-bag, Alice”. No indeed…it was the utter spiritual void that allowed that fungus (joy is like the rain, et alia) to grow, that also drove me out of the Church for many years. Having never experienced the wholeness of the TLM and its attendant spirituality (I was born right at the time of the rupture), I could only surmise that the Church itself was devoid of truth and beauty. God is good, though, and brought me back, even against my will. It was only later that I found the TLM, when I couldn’t make my children wander through the wasteland I wandered through. I see young NO Catholics that have managed to keep their faith, but I have to admit that I am at a loss for how they managed it. Likewise I cringe for converts…By God’s grace alone they remain, no doubt. If we are philosophically honest with ourselves…sigh…no, I can’t finish that sentence. I will never forget overhearing a young woman who observed me dipping my hand into the holy water font before exiting St. Patrick’s Cathedral say to her companion, “I wish I was Catholic”. Beauty is a powerful evangelizing tool. Thanks for passing on the ‘whatever happened to. link re the authoress of Guttis Laetitia. Very amusing. There is no doubt in my mind that effeminate, cheesy garbage has utterly destroyed vocations. I recall a time, shortly after my wife and I were married where we went to a church with Fr. Lovebeads, aging hippies, and poor liturgical music. We were so absolutely uncomfortable at the Mass that we simply walked out. Also, in their death throes, these types of churches seem to be doubling down if you will. I have seen churches that I attended, and always had that modernist, illicit feel turn into a complete nightmare. So the church played Haas and Hayguen, they had guitars and pianos, and Father said, “Good Morning” after the sign of the cross. That had become tolerable if illicit. Was it good enough for them though? Noooooooo. They had to bring in the drums, electric guitars, and secular music. They had to introduce liturgical dancing (because Pope Francis had liturgical dancers at his Mass). They had to rewrite the readings from Jews to Jewish People so as not to offend Jews. They had to include idiotic, inclusive language, because feelings got hurt. That is when I had enough. When Deacon said go forth the Mass has ended, and I said, “Thanks Be to God”, it wasn’t because I was thanking God for His goodness. I was really thankful that the Mass had ended. In conclusion, destroyed vocations, but even worse, made men not even want to set foot inside these entertainment venues they were trying to pass off as Catholic Churches. My first experience of a Catholic Mass had many of the elements that I’m sure Fr. Z. and most of the visitors to this site detest: banal charismatic ditties from “Songs of the Spirit”, celebration versus populum, Novus Ordo in English, readings by lay people and most of the congregation in jeans and trainers (or “sneakers” as I believe they are known in the U.S.A.)…..
*despite* all this, I was really attracted by what I experienced during the Liturgy of the Eucharist. The priest used EP1 (the Roman Canon), and the full version at that, complete with Linus, Cletus, Clement…. John and Paul, [I always think it should continue here with “George and Ringo” rather than Cosmas and Damian!!] etc. The altar was a proper stone altar on the front of which, because of the priest’s position behind it, I was able to see fully the intricate carvings. This altar put me in mind of the Jewish Temple worship of blood sacrifices and holocausts, and an insight into the sacrificial nature of the Mass just came to me intuitively, although I don’t think I’d ever been aware of the Catholic teaching about the Eucharistic sacrifice before that moment. From that first Mass that I attended I knew deep down that I really wanted to be a Catholic, to be in full communion with the successor of St. Peter and able to eat the “bread of angels”. Three and a half years later I was received into the Church – previously I was an active member of the Church of England – and I have never regretted the move in over 30 years since I joined “the Church that Christ founded”. So, the power of Christ’s Real Presence in the Eucharist and the reality of the sacrifice of the Mass can shine through the worst that “Spirit of Vatican II” liberals and liturgical innovators can do! What a gorgeous rendition of a splendiferous hymn which tells an incredible story of the salvific work of Christ Jesus on the cross! And such a gloriously beautiful setting for it! May we all live to hear and see such truth and beauty. Thank you, Father Z, and a thousand thousand blessings on your head for posting it for us — I needed that!! “We are our rites. How we pray shapes what we believe. What we believe shapes how we pray.” Thank you Father for this elequent yet simple statement. With your permission , I plan on repeating it often . Has anyone else reading this ever noticed that when there is a wedding or a funeral scene either in a movie or on a TV show, it’s normally inside a church (regardless of denomination) that looks like a church and not like a bank building or a cave? I accepted the ‘lex orandi lex credendi’ motto intellectually before, but after being able to attend EF masses more often, more Eucharistic Adoration, etc., I am starting to know in my bones what this is about –even without the superb music of St Agnes. And the obsolete ICEL 1973 does not inspire belief in anything. Ad orientem Masses would be a big step in the right direction. For years after my return to the Church (I was a cradle Catholic who completed RCIA in order to marry in the Church) I wrestled with my antipathy to Haugen et al, thinking it had to be my own pride — hardly my only sin, but perhaps my most prominent — stopping me appreciating it, and that father and the music director must know better than I. What a beautiful paragraph from the Pope you’ve quoted, Father. 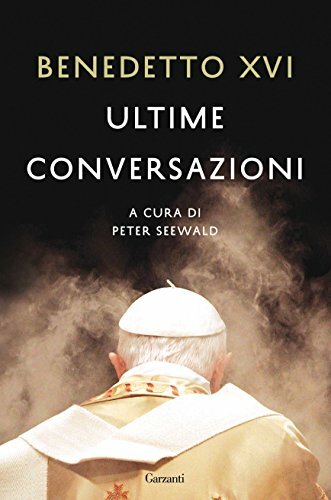 Quick question for anyone in the know: Am I correct in thinking the conversation Pope Benedict had with Peter Seewald was in German? If so, I’d like to get the German version and try to read that.